Our Boulder & Denver DUI lawyer takes a look at a controversial flier that has reportedly helped some drivers get through DUI stops without rolling down their windows. Contact us for the strongest Colorado DUI defense. When a law enforcement official stops a driver for suspicion for drunk driving, that driver is expected to roll down his windows, speak to police and comply with any ensuing directions given. However, a new controversial flier that has been circulated in some states is reportedly helping drivers get through DUI stops without having to roll down their windows or even speak a word to cops. In fact, according to some reports, drivers have been pressing this flier against their windows during DUI stops (including those occurring at DUI checkpoints) to avoid having to talk to cops and possibly give them probable cause to request field sobriety tests/BAC tests and, wohse yet, probable cause to make DUI arrests. I am required to show my papers. You can see them through my closed window. If you feel that is insufficient, please write me a ticket under §42-2-115. Please hold any tickets and your card up to the window. I will digitally sign tickets and email to you or to scott.hernandez@state.co.us (15 USC 7001(a)(1)). Thus, I am NOT opening my window. I will comply with clearly stated, lawful orders. While this flier has been specifically developed for use in Colorado, there are reportedly other fliers that have been specifically developed for use in other states. Although there haven’t been any reports of this flier being successfully used in CO, drivers in Ohio, Florida and California have reported some success in using it to get out of DUI stops. You, as a driver, have rights. 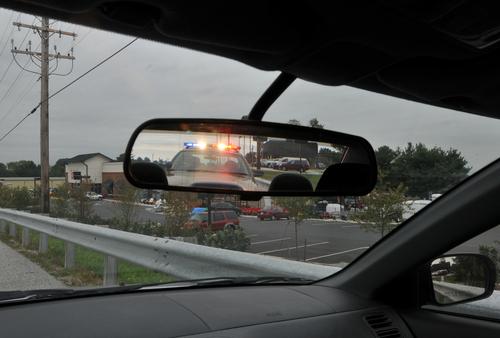 During DUI stops, there are things you can do to protect your rights. And, in general, the less you say to cops, the less evidence you may be giving them against you. While we don’t necessarily encourage the use of this flier, we do encourage you to be aware of your rights – and to contact us ASAP if you end up being arrested for a DUI. What do you think about this flier and the reports that some drivers have used it to successfully get through DUI stops? Share your comments and opinions with us on Facebook & Google+. Have you been charged with a misdemeanor or felony DUI offense? If so, you can turn to the Boulder & Denver DUI lawyer at the Griffin Law Firm for experienced help and the best possible defense. With more than 18 years’ experience in the criminal justice system, our attorney understands the complexities of the system, the challenges different defendants can face and the best ways of overcoming these challenges to bring criminal cases to successful resolutions. Our steadfast dedication to the notion that the accused are innocent until proven guilty means that we will do everything in our power to help you resolve your case in the most favorable and efficient manner possible.